Glastonbury, Bath and elsewhere in the UK by invitation. I have been working with energy based healing techniques for over 16 years achieving remarkable results. 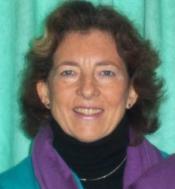 I am a Metaphysical Teacher an AAMET - Association for the Advancement of Meridian Energy Techniques EFT Trainer of Trainers, Usui/Reiki, Karuna & Angelic Reiki Master Teacher, Magnified Healing Teacher, Practitioner in EMF Balancing Technique, EIP – Energy Interference Patterning of DNA, Holographic Healing of Ancestral DNA and Matrix Reimprinting. I have had the amazing experience of being touched by a Solar Archangel and it would be a privilege for me to facilitate Angelic Reiki for you and support you on your Soul’s journey.